HomeFeaturedIs Rose Namajunas the Woman to Defeat Joanna Jedrzejczyk? Is Rose Namajunas the Woman to Defeat Joanna Jedrzejczyk? Rose Namajunas isn’t one to be messed with. She began training at age 5 in Taekwondo. 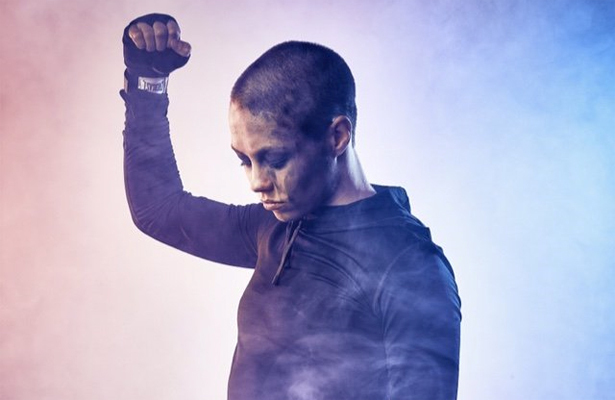 Namajunas’ fighting techniques consist of jiu-jitsu, taekwondo, karate along with some wrestling that has helped her not only compile a great MMA record at just 23 years old, but made her a skilled submission specialist, winning all her professional and Ultimate Fighter fights by submission. Along with her submissions, Namajunas also possesses great striking with her hands and feet that was on display in her most recent fight against Paige VanZant at UFC Fight Night 80, which could give her an even match up against Jedrzejczyk’s striking, which consist of impressive Muay Thai and boxing style. Even the way she counters her opponents’ movements is just stunning as she does it with a quick and accurate setup making her that much more of a challenge to the rest of the strawweight division and possibly the toughest challenge for Jedrzejczyk. Another item to keep in mind is Namajunas’ ground game where her submissions come into great play and she becomes much more aggressive, which is something Jedrzejczyk never seems to do in fights and possibly another key to defeating her. Though Jedrzejczyk has a great takedown defense making her extremely hard to go to the ground with, she has never faced anyone as aggressive as Namajunas is on her feet and the ground. If the fight turned into a ground game then it looks as if Namajunas will be able pull off the setup she needs to submit Jedrzejczyk and gain the gold that she had fought for on the finale of the Ultimate Fighter in December of 2014 against, former champion, Carla Esparza. From all perspectives it looks like Namajunas could just be the one to get the job done that others before her were unsuccessful as she has improved massively in her fights since her first loss inside the octagon of the UFC against Esparza. Though in the UFC and MMA in general anything can happen. The only way to know how this fight will turn out is to put them both inside the octagon and let them go at it to see who is the true king, or in this case queen of the UFC Women’s Strawweight division.